It's saturday night and it's been a while since I wrote a review. 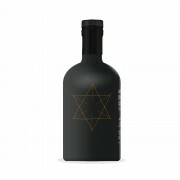 I want to indulge my self with something good and I remember that I recently got a sample of Octomore 7.3, thanks to Cricklewood. Since I have a bottle of Octomore 6.3, I thought it would be interesting to compare these two Scotch made with Barley from the same Lorgba field close to the western shore of Loch Indaal. Of course there is a few minor difference between the two: the 6.3 is aged in Bourbon barrel only while the 7.3 is finished in Spanish wine casks of Ribera Del Duero; the other difference is that the 6.3 has a 258 ppm peat while the 7.3 reach only 169 ppm (I said "only" to get your attention and to make you smile). Talking of smile, I can predict that I will have a big one as soon as I start this tasting. So let starts. 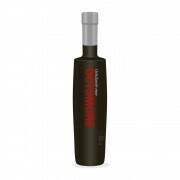 Octomore 7.3 is an excellent Classic Islay with the typical sugar of Octomore. At first glance, the nose of it is even better than the nose of the 6.3 specialy in a Head to Head when the sour side of the 6.3 will be almost wrongly magnified by the comparison. That being said, when we get accustom to the nose of the 6.3, this Scotch will grow on you and occupied all the space being the lord of the land you walk on. This is not the most noble Scotch you will have, this is a monster. With is big sugar and smoke, it is one that shows the child side of any peathead, a child who has been picking in God's candy jar. 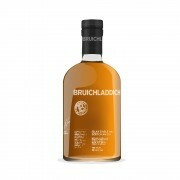 Bruichladdich Black Arts 6.1 "Arcane Rambler"
@Robert99, thanks for a fun review. Nope, you just can't get too much Bruichladdich Octomore! Expensive, but quite a treat. If you were doing 2 batches in one review, shouldn't the title batch have been "6.8"?